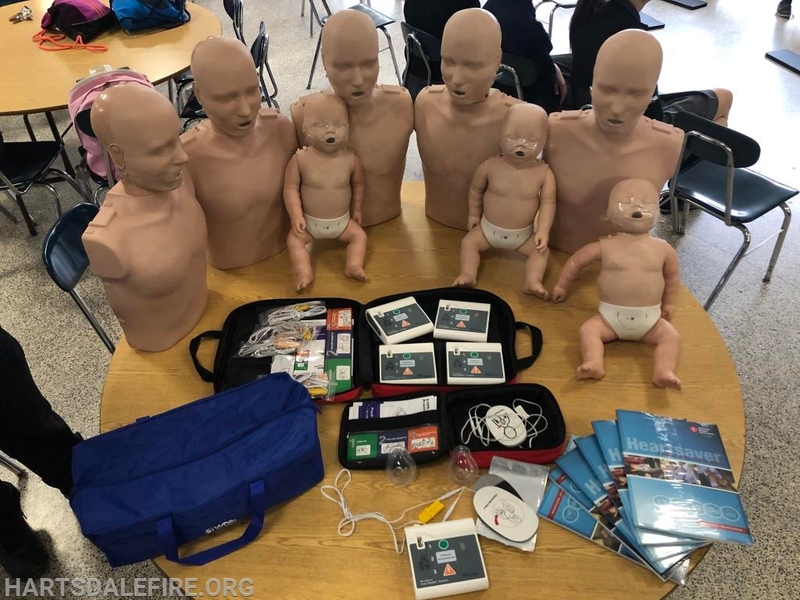 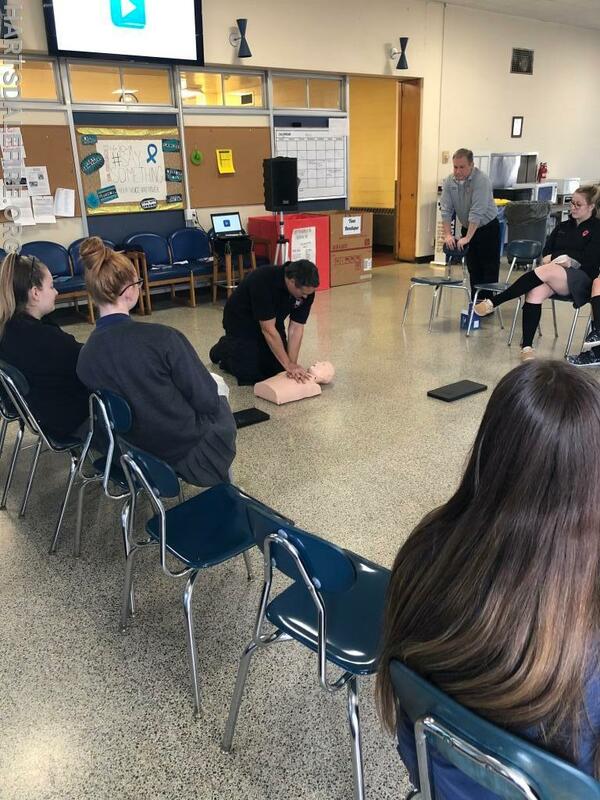 Members of the Hartsdale Fire District provided CPR Training to The Scrubs Club at Maria Regina High School Monday afternoon. 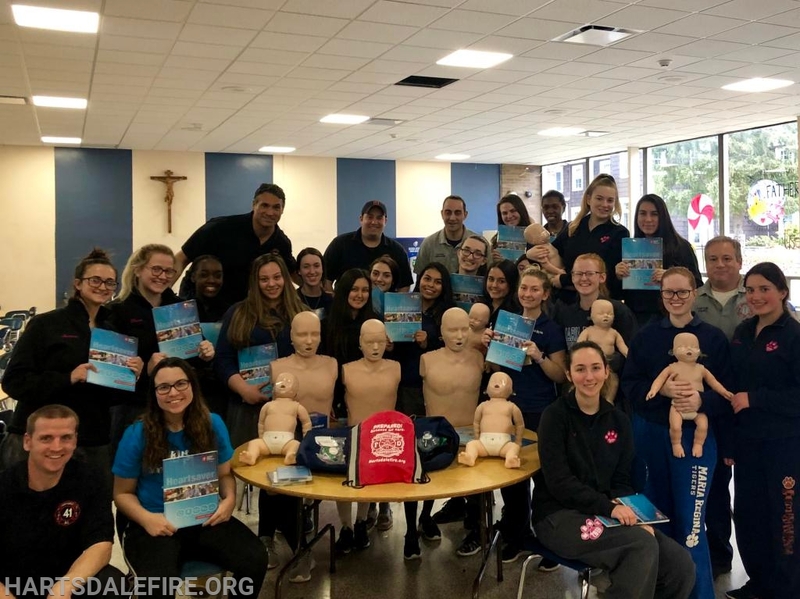 This Heartsaver CPR Certification Class was instructed by Hartsdale Firefighters who are certified CPR Instructors. 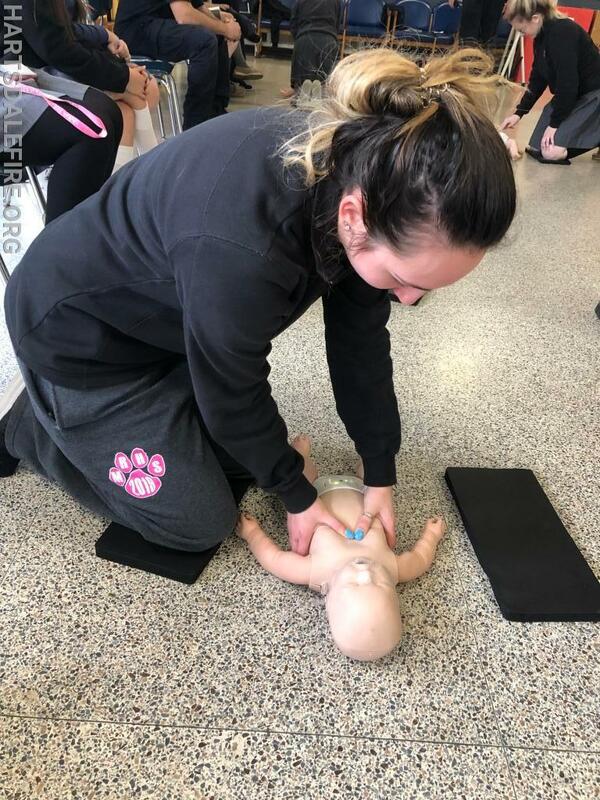 Through this training, students were taught to provide help to adults, children, and infants in need until professional emergency care arrives. 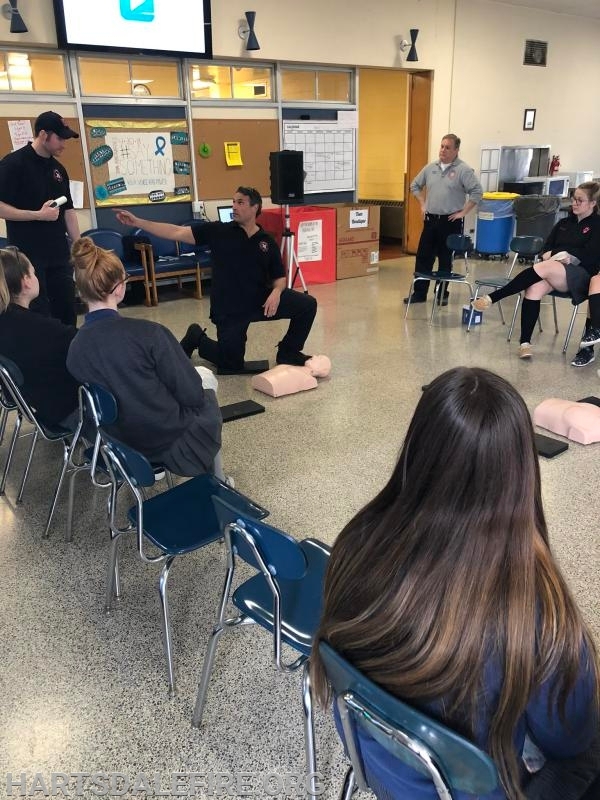 They were trained to recognize cardiac arrest, activate the EMS system, perform CPR, use an AED and identify and aid someone who is choking. 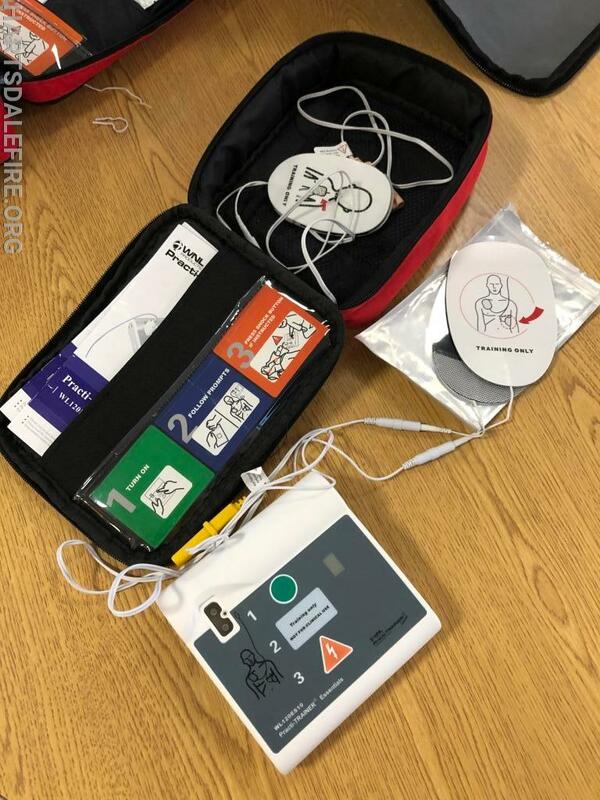 As a result, the Hartsdale Fire District now has an additional 22 certified CPR providers in the community. 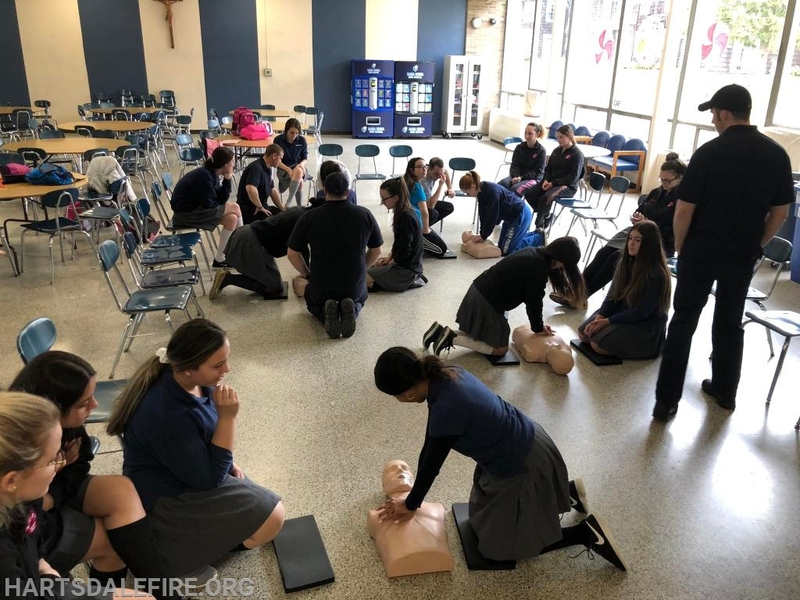 Great job by all!